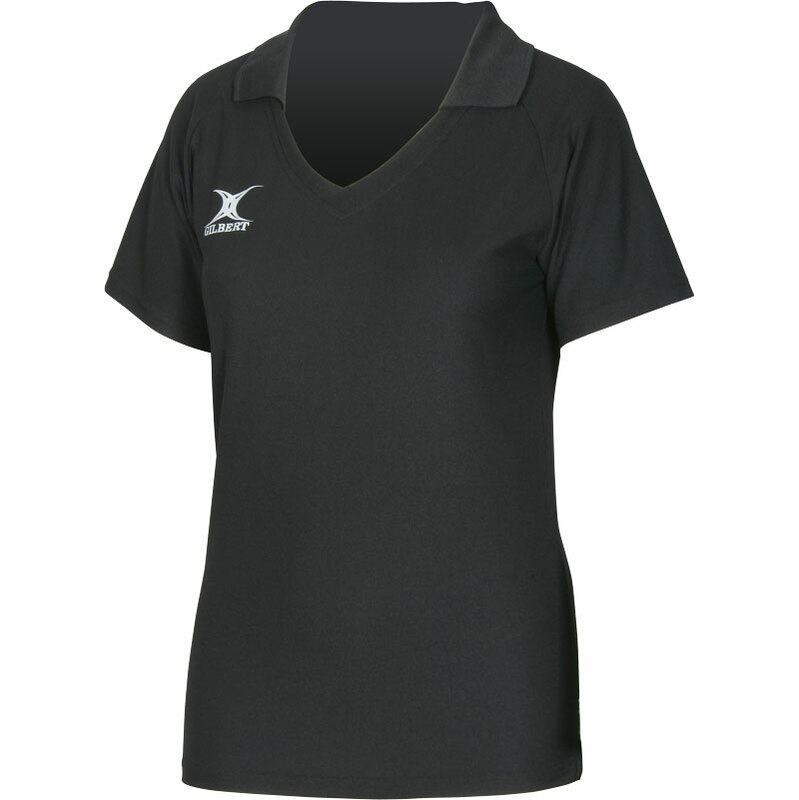 Gilbert ® Women`s Blaze Shirt - Move with confidence in the Blaze shirt! 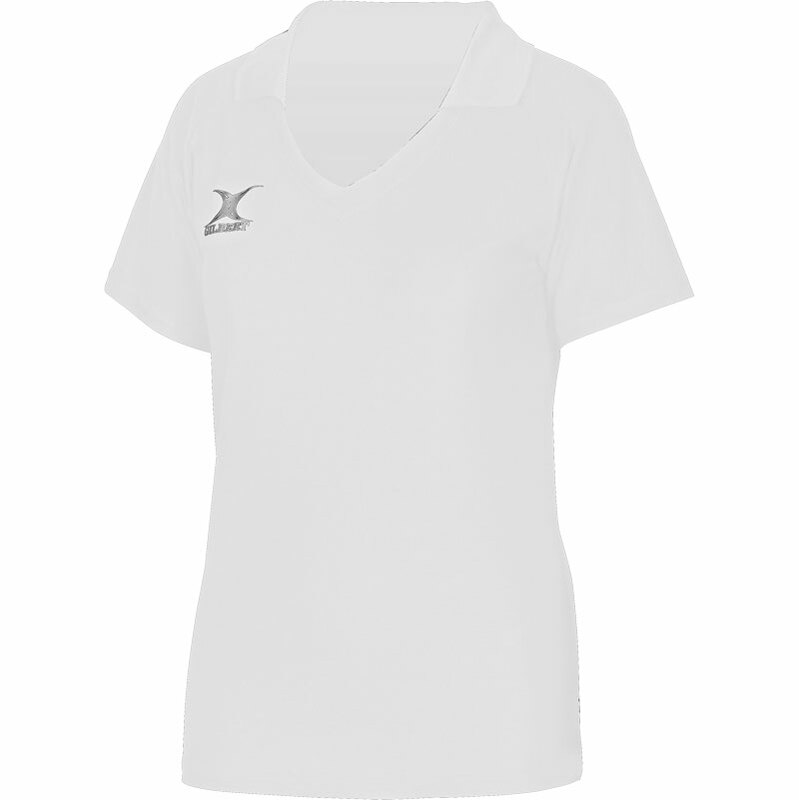 It features a modern V-neck with turn down collar and moisture management fabric to keep you cool and comfortable. 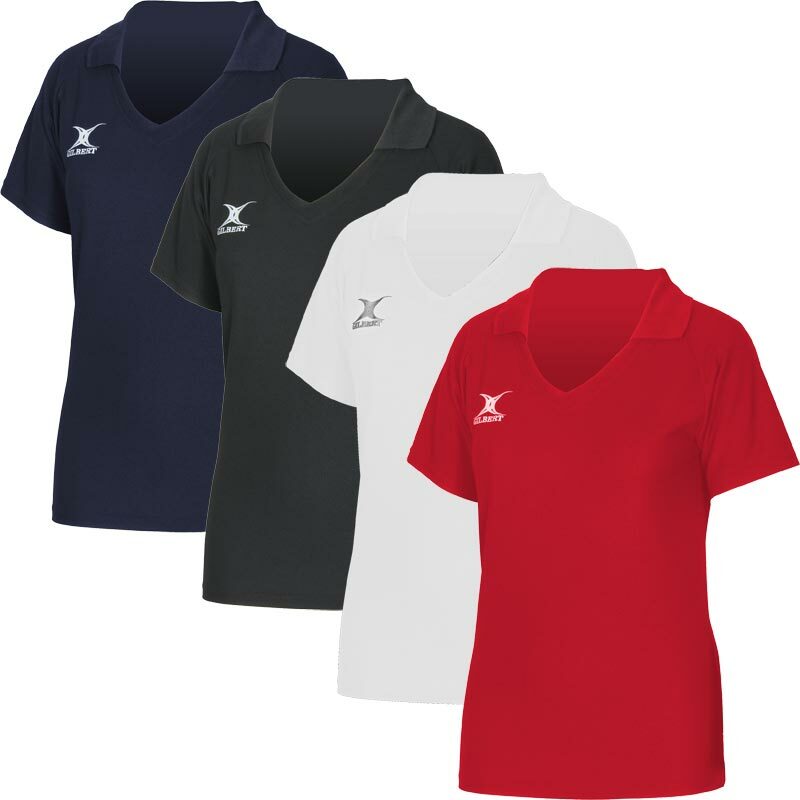 Colour: Navy, Black, Red and White. Not available with Hook and Loop tabs for the Patch Bib. Very pleased with my Gilbert Blaze shirt . It's very comfy and practical for netball. This top fits well and is good quality. It looks stylish and is comfortable. Very happy with it indeed. Thanks. The top is great, fits well, really comfortable for playing and coaching, colour is fab and hasn't faded! Great buy!